DESCRIPTION The model DT-2239A is a microprocessor circuit design, high accuracy, digital readout, light duty STROBOSCOPE/TACHOMETER that is ideal for inspecting and measuring the speed of moving gears, fans, centrifuges, pumps, motors and other equipment used in general industrial maintenance, production, quality control, laboratories and as well as for schools and colleges for demonstrating strobe action. 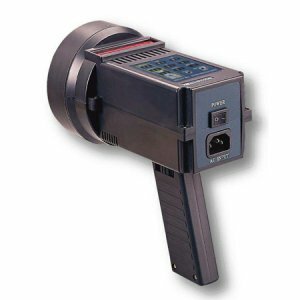 FEATURES * Stroboscope use high intensity XENON tube. * LCD display with back light. * Stroboscope range : 100 to 15,000 RPM. * External trigger for stroboscope. * DCV power supply via external AC/DC adapter, 90-260 ACV/DC adapter is the standard accessory. * Build in battery compartment, power can use the DC 1.2 V Ni-MH recharge battery ( UM-1, D size ) X 4 PCs, the recharge batteries and the battery charger are the optional accessories. Features : * Stroboscope use high intensity LED array. * LCD display with back light. * Stroboscope range : 100 to 99,999 RPM. * External trigger for stroboscope. * Photo tach. range : 10 to 99,999 RPM. * Photo tachometer use the laser light beam. * Power supply : 1.5 V ( UM-1 ) x 4 PCs * DCV power supply via external AC/DC adapter is available, AC/DC adapter is optional.